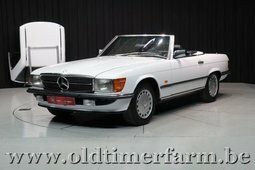 Nice 1985 Mercedes Benz 300SL W107. 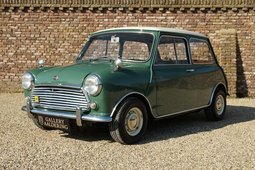 Built in Sindelfingen and shipped to America on the 8th November 1985. 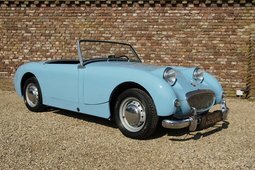 This very well looked after car has a mere 64,357 miles on the clock. 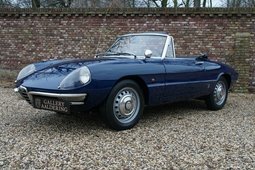 The bodywork is in a lovely condition with good paintwork and perfect chrome details. 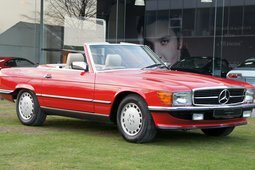 The car has its original colour scheme of ‘Blauswartz metallic’ with ‘perforiert crème beige’ leather trim and black soft-top. It has many factory-fitted accessories such as; outside temperature meter, automatic transmission, cruise control, ABS, two heated and electrically adjustable side mirrors, armrest, automatic climate control, electric windows and heat reflecting windows. 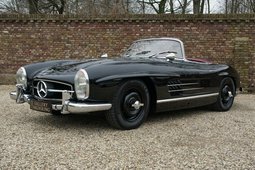 This 300SL has retained her original, matching numbers, engine. 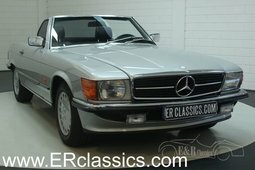 A lovely, low-mileage ‘Bobby Ewing’ 300SL!